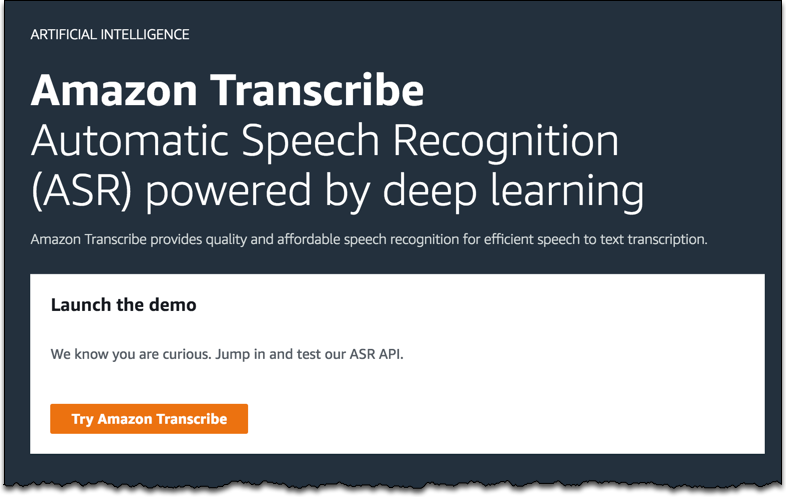 Today we’re launching a private preview of Amazon Transcribe, an automatic speech recognition (ASR) service that makes it easy for developers to add speech to text capabilities to their applications. As bandwidth and connectivity improve, more and more of the world’s data is stored in video and audio formats. People are creating and consuming all of this data faster than ever before. It’s important for businesses to have some means of deriving value from all of that rich multimedia content. 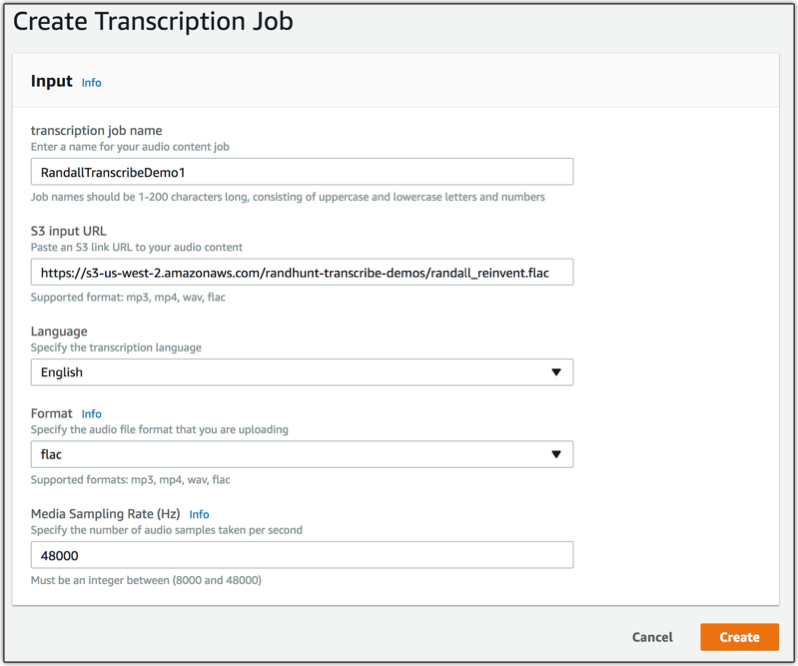 With Amazon Transcribe you can save on the costly process of manual transcription with an efficient and scalable API. You can analyze audio files stored on Amazon Simple Storage Service (S3) in many common formats (WAV, MP3, Flac, etc.) by starting a job with the API. You’ll receive detailed and accurate transcriptions with timestamps for each word, as well as inferred punctuation. During the preview you can use the asynchronous transcription API to transcribe speech in English or Spanish. 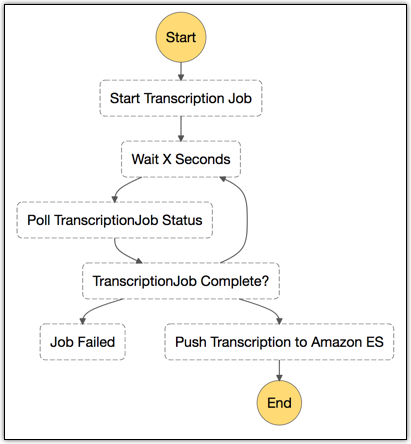 You can start a transcription job easily with the AWS Command Line Interface (CLI), AWS SDKs, or the Amazon Transcribe console. As you can see you get timestamps and confidence scores for each word. Whether alone or combined with other Amazon AI services this is a powerful service and I can’t wait to see what our customers build with it! Sign up for the preview today.